Creativity, by definition, can’t fit inside a stereotypical box. Yet, both creativity and entrepreneurship are often surrounded by myths that prevent would-be business leaders from even taking the first step. The very idea of creativity is unfettered, and yet the concept is often placed in a box with well-defined edges. Creatives are writers, photographers, designers, artists — not programmers or scientists. 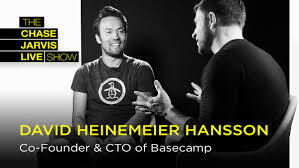 Try saying that to programmer, author, and entrepreneur David Heinemeier Hansson. The guy who created the programming language Ruby on Rails. The guy who helped create project management software company Basecamp. And the guy who created a book that’s on three best-seller lists. 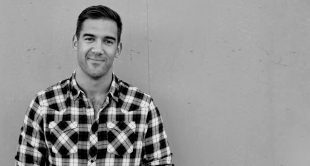 Hansson is an entrepreneur that has created his success by going against the grain. He recently sat down with CreativeLive Founder Chase Jarvis to discuss his unusual career path — and debunked a few common creativity myths and entrepreneurship misconceptions along the way. Myth: Creativity is only creating something completely new. Hansson created Ruby on Rails by building on existing Ruby programming language. The company he co-founded, Basecamp, takes existing tools but puts them all together in a way that allows each one to talk with the other to simplify project management. One of his books, Rework, is a compilation of a decade of ideas previously shared in blog posts. 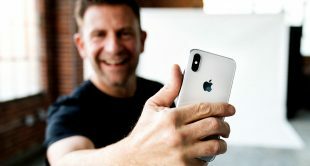 One percent is creating the grand, brand new idea, he says, but 99 percent of creativity is taking existing pieces and assembling them in a new way. Focusing only on that grand brand new concept is creatively limiting. You don’t need to reinvent the Lego brick to build something cool. Myth: To be an entrepreneur, you have to raise a whole bunch of capital. There’s a prevailing “one path” idea that businesses only launch by soliciting a bunch of seed funding, particularly in technology. But Basecamp didn’t start with any investors. A group of designers created Basecamp when they became frustrated with using multiple tools to coordinate with team members on a client project. Those same designers continued to work on paid client work, which meant they still had enough income coming in to pay the bills. Hansson estimates that, during the development process, Basecamp took up only about ten hours out of his work week while the rest focused on paid client work. The software was also built using open source programs, which meant investing nothing in programming to include in the software. Myth: If you have something to say, you can only say it once. Another prevailing idea is that once you say something important, you move on. Hansson suggests the opposite is true — that the important things are worth repeating. “If you want to make an impact, you better be ready to say something 10,000 times before you even scratch the surface,” he said. Myth: To be an entrepreneur, you have to either be a genius or work 120 hours a week. Many would-be entrepreneurs look at the Fortune 500 companies and think that the leaders behind them are either genius or they worked 120 hours a week to get there. In reality, an entrepreneur can be successful without being a genius — and while only working the typical 40 hour work week. Hansson says it’s the quality of those hours, not the quantity, that matters. That’s why the entrepreneur doesn’t fill his days with meetings — four to five hours of uninterrupted work is worth as much as a longer day with breaks for meetings and lunch appointments. Myth: To run a business, you need to be all-in. Hansson has many different titles from CTO and programmer to author and speaker. He’s even a race car driver and hobbyist photographer. While there’s a prevailing idea that entrepreneurs put 100 percent into their business, Hansson suggests the opposite is true. “If you’re all in on one thing and that one thing goes away, you’re all out,” he said. Myth: To work from home, you have to be an introvert. Telecommuting has a lot of myths — and one of them is the idea that you have to be introverted for the arrangement to work. Everyone needs some sort of social interaction. The extroverts that crave that interaction more mix up spending time working from a home office with working inside coffee shots and co-work spaces. Myth: Constraints are creative enemies. Limits are not bad for creativity — and they can, in fact, be good. Hansson says constraints help remove the intimidation. Something as simple as creating a set amount of time to work on a project eases some of that pressure. In other scenarios, working around limitations can spark new creative ideas. Myth: Struggle (and disagreement) is bad for businesses owners. 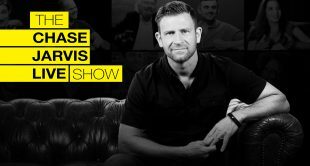 To see the full interview, click over to Chase Jarvis Live — and subscribe for future insight into creativity and entrepreneurship from leaders across several industries. Make a meaningful change in your life. Learn more.